This moment is my favourite moment in the list, a hugely controversial statement perhaps, but it was absolutely sensational! In a house in Swansea with 6 or so Manchester United fans, myself (a Cardiff fan) and an Everton supporter were the only two wanting Man City to win the Premier League. When Martin Tyler screamed those now famous lines of commentary, finishing with "AGUERRROOOOOO!!! ", I will never, ever forget the unbelievable joy and delirium I experienced. Hugging and dancing around the living room with the Everton fan, the devestation of the surrounding United fans! It had nothing to do with wanting United to lose the league, it was just the astonishing, stunningly brilliant finish to a Premier League season - like nothing else I'd ever seen! I have goosebumps and my heart is genuinely racing at the memory as I write this. Wow! So the context... Roberto Mancini's Manchester City were hunting their first ever Premier League title, their first top flight title since 1967/68 and only their third ever. Chairman Khaldoon Al Mubarak had invested heavily in the Citizens in the pursuit of Premier League glory and the summer of 2011 saw the additions of Samir Nasri, Gael Clichy and notably Sergio 'Kun' Agüero. Agüero, the £40m signing from Atlético Madrid, joined with a reputation for goals already. At 23, Kun had the best of his career ahead of him and immediately sought to prove himself in England with 23 top flight goals to match his age in his debut campaign. City started the season on fire, 12 wins and 2 draws took them to 12th December before they tasted defeat in the league. In that time, they had already recorded another historic victory - a 6-1 victory at Old Trafford versus fierce title rivals Manchester United. That famous day was also watched at that same house in Swansea, with those same Manchester United fans. 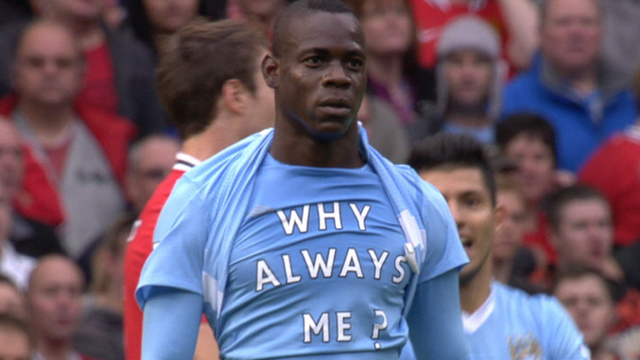 Of course it is the day Mario Balotelli pulled out his 'Why Always Me?' t-shirt, a jibe at the media who had hounded the Italian since his arrival at the Etihad. City made a statement that day that would take them through the rest of the season with just 4 defeats to their names. A second victory versus Manchester United in April, with just three matches left of the season, would set up a grandstand finish to the title race. 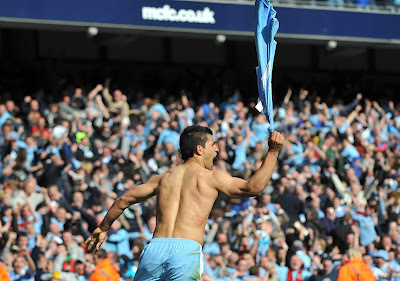 13th May 2012 - Manchester City host QPR on the last day of the season, Manchester United meanwhile are away to Sunderland. Right-Back Pablo Zabaleta gave City the lead in the 39th minute in a game they needed to win to become champions. 1-0 at half-time and City were looking strong but just 3 minutes into the second half and QPR frontman Djibril Cissé struck to level the tie. Joey Barton, QPR captain, then caught Carlos Tevez with a swinging elbow in the 55th minute. He was shown a red card before lashing out with a kick aimed at Agüero and a headbutt aimed at Vincent Kompany - the less said about Monsieur Barton the better! However, the red was not a turning point for City, QPR struck again through Jamie Mackie and led 2-1. QPR were battling relegation themselves but were saved as Stoke draw with Bolton to relegate the Trotters. Manchester United won their match at Sunderland courtesy of Wayne Rooney and with the game running behind at the Etihad due to the red card, many City fans were leaving the stadium in tears - had they blown their title shot? Then in the 92nd minute, a David Silva corner found the head of Edin Džeko to level it, 2-2! City threw everything forwards in the last seconds of added time, had they left it too late? Suddenly, 94 minutes in, Agüero picked it up 30 yards out. He played it to Balotelli. who slipped but managed to find Agüero who had continued his forward run. Kun took it past his defender and smashed it past Paddy Kenny in the QPR net - AGUERROOOOO!!! 3-2!! City had won the league, United were left devestated and the Premier League had its greatest ever moment! 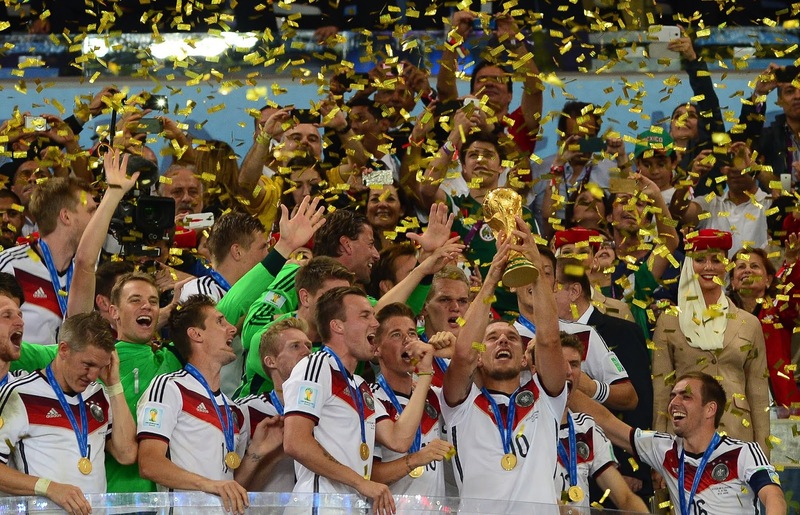 In 2014 Brazil hosted the FIFA World Cup, their first time hosting since 1950. Neymar, Brazil's talisman was the poster boy of the tournament, the hopes of a football-besotted nation resting on his young shoulders. Lionel Messi meanwhile was attempting to win his first World Cup with Brazil's rivals Argentina and the German side was the most fancied team to feature from Europe. 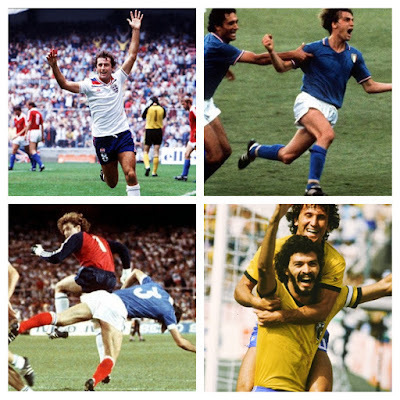 In a competition boasting 171 goals in just 64 matches (2.67 per game), the Semi-Final clash between Brazil and Germany will never be forgotten. Brazil's route to the last four was an eventful one. Falling behind to Croatia in their opener thanks to a Marcelo own goal, it took superstar Neymar to score a brace to put Brazil ahead. Oscar rounded off the game in added time to secure a 3-1 victory. A draw with Mexico and a win over Cameroon set up a Round of 16 fixture with Chile. The all-South American tie would go to penalities with Neymar netting the final spotkick for the hosts. In the Quarters, Brazil would face more South Americans, Colombia. James Rodriguez had been superb for Colombia in the tournament thus far but his 80th minute penalty was in vain, defenders Thiago Silva and David Luiz both scored to put Seleção into a huge Semi-Final. Germany started their campaign with an excellent 4-0 victory over Cristiano Ronaldo's Portugal, a hattrick from Thomas Müller adding to a goal from Centre-Back Mats Hummels. A gripping 2-2 draw with Ghana was followed by a 1-0 win over the USA, the Germans were into the Round of 16 as group winners. A 0-0 draw with Algeria in normal time was unexpected but André Schürrle and Mesut Özil both netted in Extra-Time to put Germany through, despite Djabou responding for Algeria. Germany and France met in a European Quarter-Final and Dortmund defender Hummels scored again for his country. Germany would meet Brazil, mouth-watering! On 8th July 2014, Brazil would host Germany in Belo Horizonte. Devastingly for Brazil, Neymar had picked up a nasty back injury in their win over Colombia and they'd have to do it without their main man. Settlingly down in the pub where I watched this game in Cardiff, I was not expecting what happened next! Müller (11), Klose (23), Kroos (24 &26), Khedira (29) - Germany had blown the hosts away and led 5-0 after just 29 minutes. The Cardiff pub was stunned, the Estádio Mineirão was rocked - fans crying as their dream World Cup crumbled. Following the break Germany maintained control of the fixture and even added two more thanks to Schürrle. Despite Oscar's consolation goal, the 7-1 defeat reverberated around the footballing world. Brazil would not recover in time for the Third Place Play-Off match against Netherlands and a 3-0 loss would mean the hosts finished their home World Cup in fourth place. Germany's well earned Final would be against another South America team - Argentina. Leo Messi was hunting that elusive World Cup that he craved so badly. In the famous Maracanã Stadium five days after thier mighty victory, Germany played out a 0-0 draw with Argentina in normal time. Extra-time was a tense affair before, in the 113th minute, Mario Götze of Bayern Munich netted the winning strike. 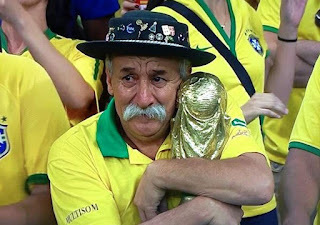 Germany lifted the trophhy as they broke the hearts of yet more South Americans. What a World Cup! Whilst Agüero's moment (No. 46) was the best finish to a Premier League campaign ever, Leicester City in 2015/16 is perhaps the greatest season in the Premier League era. 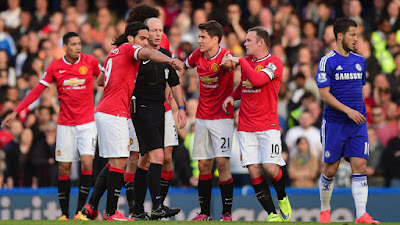 Since the new-style top flight began in 1992, Manchester United and Arsenal had dominated the title winners list. The additon of Mourinho had seen Chelsea added to the competitors list and of course Manchester City were now always going to be there or there abouts too. The only surprise in over 20 years stood out as Blackburn in 1994/95 however Leicester City were about to dramatically change things. 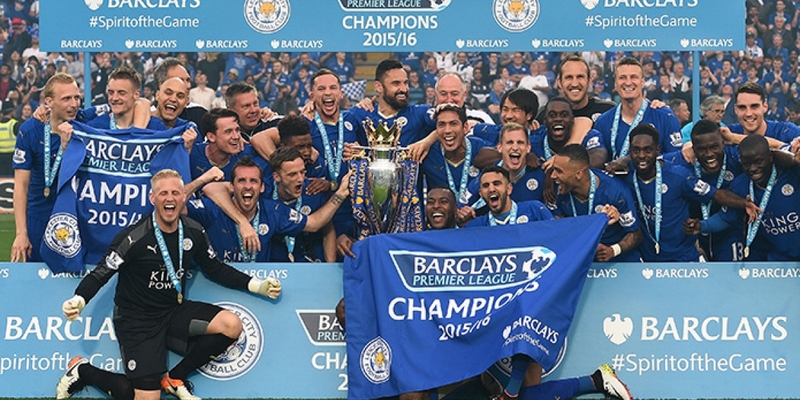 In 2014/15, Leicester spent most of the season in the relegation zone. Nigel Pearson's men survived the drop and managed to finish in 14th position. The Leicester board felt a change was needed though, Claudio Ranieri was the man they elected for that role in the summer of 2015. Ranieri's appointment caused some controversy amoungst Leicester fans, Gary Lineker famously tweeting 'Claudio Ranieri? Really?'. Marcus Christenson of The Guardian meanwhile called Claudio the 'wrong man' in a scathing article that cited his recent failures with the Greek national team. Ranieri's most recent success had come in Ligue 2 of France with Monaco, promoting them as champions in 2012/13, what could the Italian do with The Foxes? Ranieri's first signing was N'Golo Kanté, the defensively midfielder from Caen for £5.6m, a relative uknown. Kanté joined the additions of Christian Fuchs, Robert Huth, Shinji Okazaki, Yohan Benalouane and Gökhan Inler. Pre-season Leicester were given odds of 5000/1 to win the league, Claudio's job was certainly to keep The Foxes into the top flight rather than win it. Their campaign started fairly solidly, 3 wins and 3 draws had taken them into September before they tasted their first defeat, a 5-2 home spanking by Arsenal talisman Jamie Vardy scoring twice in that loss. Perhaps the embrassment spured Leicester on though, because after this, Leicester would go undefeated until Boxing Day, picking up 8 wins and 2 draws. During this first-half of the season, Jamie Vardy broke a Premier League record for most consecutive goals after he netted in 11 matches in a row. Making himself a fantasy football dream, Vardy's run stretched from a 1-1 draw with Bournemouth on 29th August with an 86th minute penalty to a stunning counter-attack goal in a 1-1 draw with Manchester United on 28th November. Vardy's rise became stuff of English footballing fokelore, a former factory worker of medical splints, Vardy came to Leicester via Stocksbridge Park Steels, Halifax Town and Fleetwood Town - not exactly the route expected of a Premier League winner. His 24 for the season was a major factor in Leicester's threat from the counter-attack, speed and a prolific nature that made him feared by defenders in 2015/16. Leicester's squad that year was full of unlikely heroes: N'Golo Kanté proved a genius signing in breaking up play for Ranieri's men whilst Riyard Mahrez (a 2014 signing for less than £1m) was scintillating in securing that year's PFA Player of the Season. Jamaican defender and Foxes captain Wes Morgan's patnership with Robert Huth was unbreakable too. All year Leicester were only defeated three times, by Arsenal home and away and by Liverpool at Anfield 1-0. Their relentless discipline saw them win seven games 1-0 and 14 of their 23 wins by a margain of just the one. 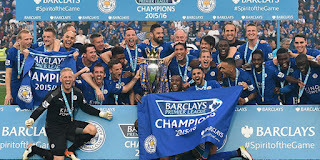 As the season headed into its closing stages, no one could quite believe what they were seeing, Leicester's run to the title just kept on rolling and it was eventually wrapped up as Tottenham drew 2-2 with Chelsea on 2nd May 2016. The party could begin and their final point score of 81 was 10 clear of runners-up Arsenal - magnificent! A season that will never be forgotten, a season for the underdogs! A final thing to mention of course, is the tragic recent accident of a key man behind the Leicester success. 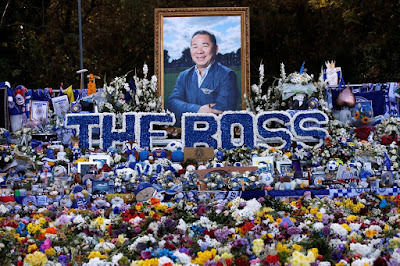 On 27th October 2018, Leicester City owner and facilitator of the title win, Vichai Srivaddhanaprabha, was killed in a helicopter crash. Vichai was well known for taking off in a helicopter from the club's ground, the King Power Stadium, after matches. However tragedy struck in October after a draw with West Ham United. 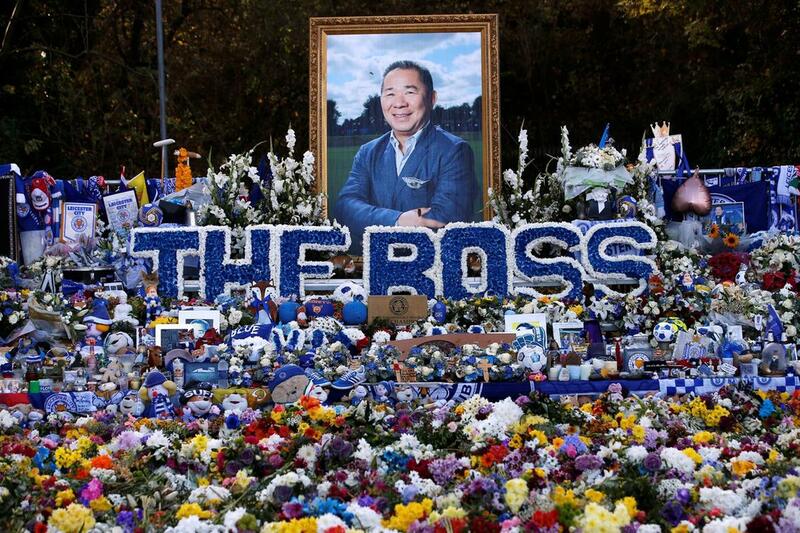 Reports emerged of a helicopter crash outside the ground that evening and sadly Vichai and four other people died in the incident. The club united in grief and the next week recorded an emotional 1-0 win at Cardiff City. Vichai's contribution to the city of Leicester will never forgotten and he will be immortalised in a statue outside the King Power Stadium. Football and tragedy seem to cross paths far too often it seems. The Munich Air Disaster in 1958 that involved Manchester United was a horrificly sad story that wiped out a very promising young side. In 2016 a similar story broke on 28th November 2016, this time it involved a promising Brazilian football team, Chapecoense. The plane that crashed, LaMia Flight 2933 carried 77 people, 71 of these passengers lost their lives that fateful night. 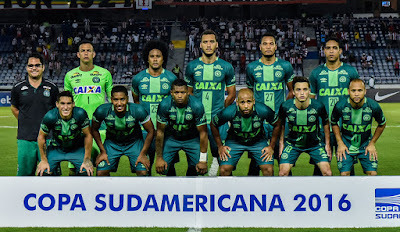 The death toll included footballers, coaching staff and journalists alike travelling to the first leg of the final of the Copa Sudamericana in Medellín, Colombia. Chapecoense had enjoyed a meteoric rise to Brazil's Série A. In 2009 the side were playing in the fourth tier, Série D before earning their promotion to Série C and then in 2013 Série B. 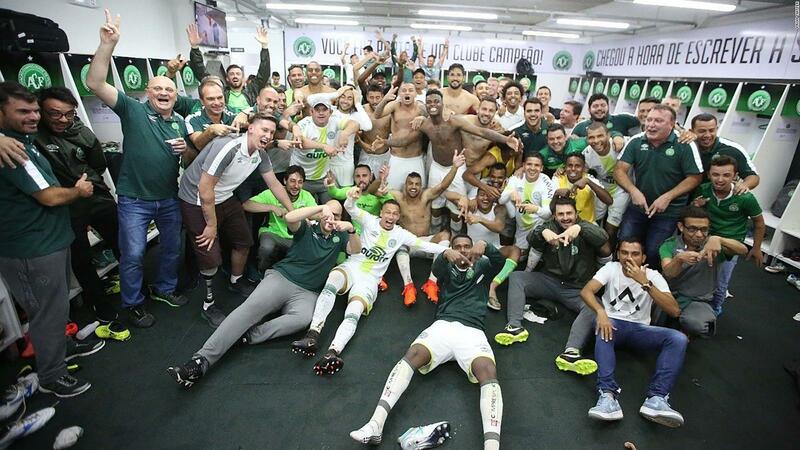 They spent just one season in the second tier, coming in second place and earning promotion to Brazil's top flight. The side had managed to consolidate their Série A status and in 2015 and then again in 2016 featured in CONMEBOL's version of the UEFA Europa League. In 2016 this run had led them all the way to the two legged final against Colombian outfit Atlético Nacional. Chapecoense were flying from Santa Cruz de la Sierra, Bolivia to Medellin, Colombia. They had seen off Brazilian side Cuiabá, Argentinian teams Independiente and San Lorenzo and Colombians Junior en route to their first ever continental cup final. On 28th November, with the flight running behind schedule, it was decided that the plane would skip a refueling stop. This decision had devasting consequences as the fuel levels ran critically low, this is turn was hurt by air traffic control at Medellin Airport who priortised other planes landing ahead of LaMIa Flight 2933. A final error occured when there was a failure to call in the emergancy. Of the 22 players on board the plane that day, just three survived - left-back Alan Ruschel, centre-back Neto and backup goalkeeper Jakson Follmann. Follmoann unfortunaely had one of his legs amputated due to his injuries and was forced to retire from professional sport. In the aftermath of the disaster, Atlético Nacional petitioned CONMEBOL to award Chapecoense the Cope Sudamericana. This was granted, along with the prize money for the tournament. Brazilian and Argentinian football united to support Chapecoense, offering to loan out players to them for free. 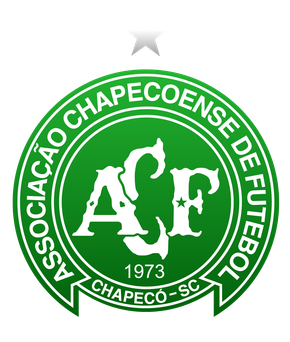 Clubs also sent a joint request to the Brazilian FA, asking for Chapecoense to be exempt from relegation for three years. Chapecoense though, rejected all offers of assistance and stated that they wanted to rebuild their club properly. In the 2017 campaign, Chapecoense sealed survival from relegation with an emotional 2-1 victory over Vitoria with three games to spare. Their totally new side had done the seemingly impossible and were joined in the feat by Neto and Ruschel, both recovering from their crash injuries. Vamos Chape! The pure elation in the dressing room as Chape escape relegation in 2017. Video Assistant Referees (VAR) - Probably one of the most talked about things in football in 2018, the culmination of years of debate. 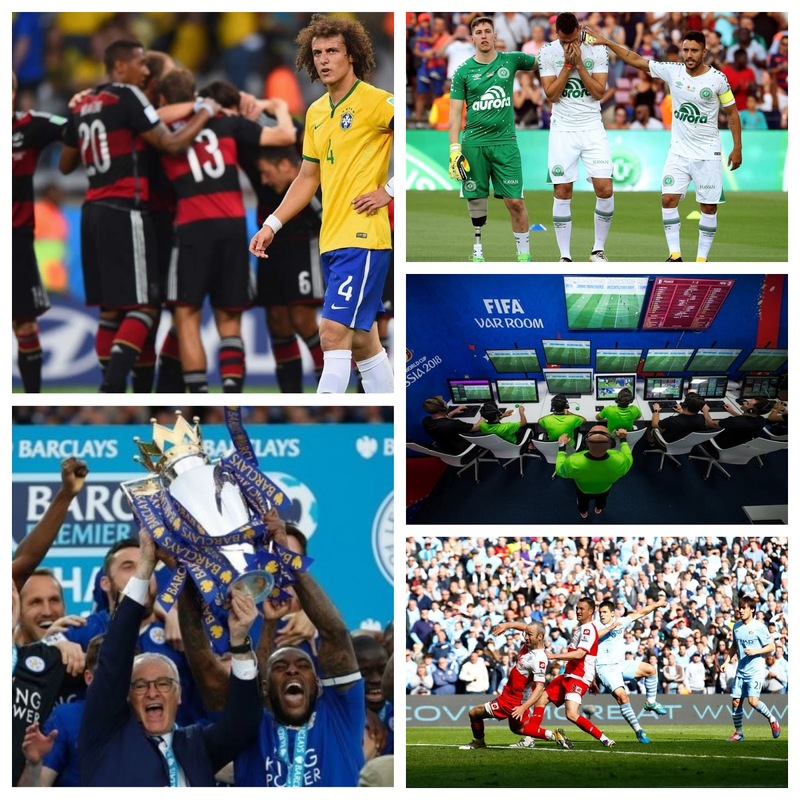 Video technology is now well used in sports throughout the world: tennis, cricket, American football, rugby league, rugby union, field hockey and ice hockey too. Football had long been resistant to the introduction of video referals that could overrule the on-pitch match official. 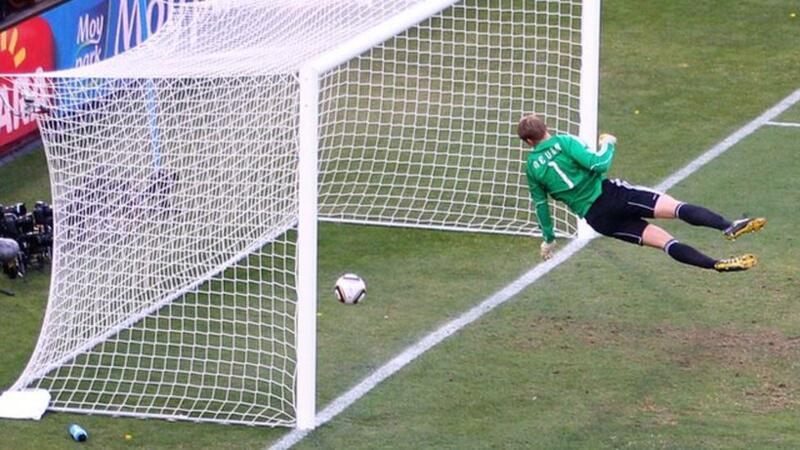 However in the 2010 World Cup, after Frank Lampard had a clearly legitimate goal ruled out against Germany, goal-line technology was developed and introduced. 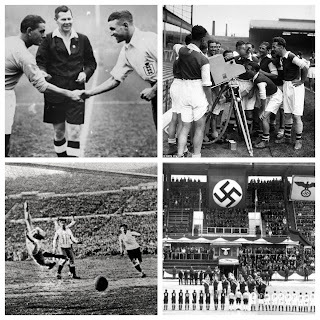 This was successful and swept across each country's association, mainly due to the lack of noticeability during a game - a simple watch the referee wore to let him know if a goal had been scored. Video replays though? Far, far more controversial! Video technology was first trialled by the Dutch Football Association (KNVB) in the 2012/13 Eredivisie season but only in mock trials. The USA then took on the system in 2016 reserve matches, the first red and yellow cards being issued because of it. A friendly between France and Italy in September 2016 became the first international match to use the system in more trials before the Australian A-League took the step to use it in the first competitive top flight fixture in the world. MLS adopted the system likewise in their 2017 campaign and the Russia's FIFA Confederations Cup in June 2017 also used the developing system. 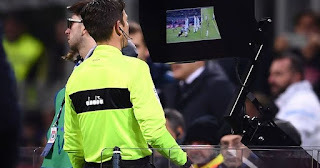 Bundesliga (Germany) and Serie A (Italy) agreed to use VAR for the 2017/18 season before the big confirmation came that the 2018 World Cup in Russia would feature video assistants. With the International Football Association Board (IFAB) officially writing VAR into the rules of the game, in Britain plenty of fans, journalists and ex-pros alike were still unconvinced. The first use in the UK came in a January 2018 FA Cup clash between Brighton and Crystal Palace. The debate surrounded the extent in which VAR could be used, the four calls detailed as: goals featuring offsides or fouls, penalty decisions, direct red card decisions (second yellow cards not being reviewable) or mistaken identity in awarding a red or yellow card. The problem many fans had was the length of time reviews were taking at pitch side monitors and the confusion it caused in the stadiums. Jose Mourinho commented in February 2018 “The referees should decide on VAR. Do they feel happy with it? Do they want some technical help? Or do they still want to live with the human mistakes they make?" 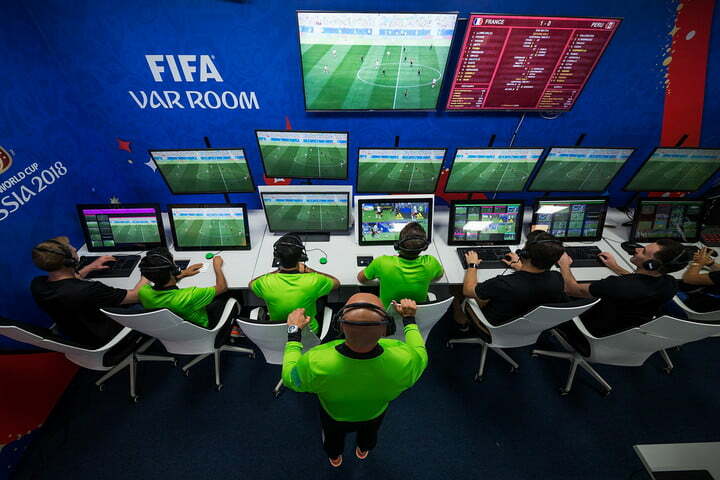 FIFA referees wore full kit in the VAR room in Russia! So we come to the 2018 Russia World Cup. VAR would be the biggest tournament talking point with the phrase 'clear and obvious error' ringing in everyone's ears. This was to be the point at which reviews would take place, the men watching in the booths in Moscow (in full kit too!) would communicate with the on-pitch official to recommend he review a decision. For the most part VAR seemed to be a success. 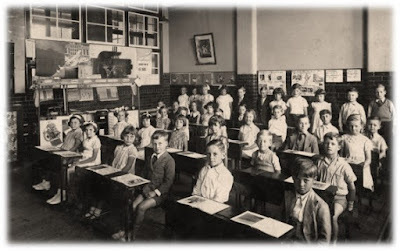 The reviews were done quickly and allowed errors to be corrected. 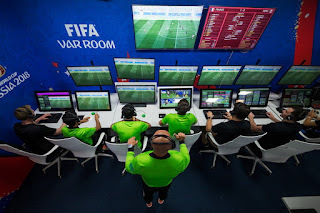 The BBC reported after the tournament: "A total of 335 incidents were checked during the group stage - nearly seven per game - with 14 on-field reviews made by referees and three reviews made by the VAR team on factual decisions. Referees called 95% of incidents correctly without VAR, but the system - which is being used for the first time at a major international tournament at Russia 2018 - improved that success rate to 99.3%." Debate about VAR will still continue to rage. Some fans expected instant perfection and when VAR did not seem to provide that it was therefore seen as a failure. Some fans also believed calls became too 'soft', a handball during a match between Portugal and Iran springs to mind. However VAR is here to stay across the footballing world and has helped correct many 'clear and obvious errors' as well as many more minor errors too. 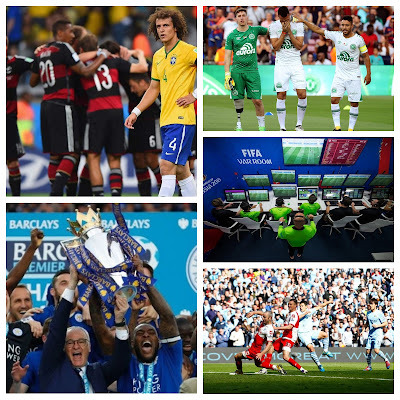 On 15th November 2018, after a number of poor refereeing decision that would've been VAR adjusted, the Premier League became the last of Europe's 'top 5 leagues' to confirm its introduction from 2019/20 season. VAR - certainly a major moment in the history of the beautiful game! If you would like to see each moment mapped out across the world then follow this link (this brilliant map the handiwork of TFHB fan Ian Cade).